Last year I invited family to our house for Christmas Lunch and on Christmas day 15 people arrived expecting to be fed and watered throughout the day. Right now our family is going through something (I'm not ready to write about it just yet) and it's important to get the entire family together to enjoy these special times. Again, I have invited our family for Christmas Lunch and this year I'm expecting 18 people which means it's going to take some planning. If, like me, you're expecting a large party for Christmas Lunch I've got a few tips for you. Once everyone has been invited you need to settle on a time for serving the food and for Christmas Lunch it tends to be later than usual. We'll be serving (as long as everything goes to plan) at around 3pm, and will expect everyone to have arrived before then. When you know what time you want to be serving your meal you can let your family and friends know when to arrive. Tables and chairs are an important part of hosting Christmas lunch (duh!) and if you're inviting lots of people you'll need to make sure you have enough space for everyone to sit and eat. Plan where everyone will sit, how you will arrange your seating area, and count how many seats you'll need. We have a large lounge with a dining table we can extend but even with that I'll need an extra table and lots of extra chairs. I'm lucky we still have an old table in the garage that I can pull out. It's Christmas and you've invited people over for lunch. They will expect the table, and your house, to be decorated. Decide on a theme, it could be colours, or style, but make sure anything you select fits into your theme. These days there are so many places you can find beautiful decorations for your table, I saw some lovely table runners in Tesco that I'm going to buy, as well as the place settings. I want to go all-out this year and am even planning some candles for the table, if I can find the right sort. I've loved this table runner ever since I spied it in Tesco. And this candle holder from John Lewis would look perfect in the middle of the table. Plates and cutlery is another thing to think about, do you have enough? Will you need to purchase more plates or a whole set? Will you need extra wine glasses? Consider every aspect of your table. 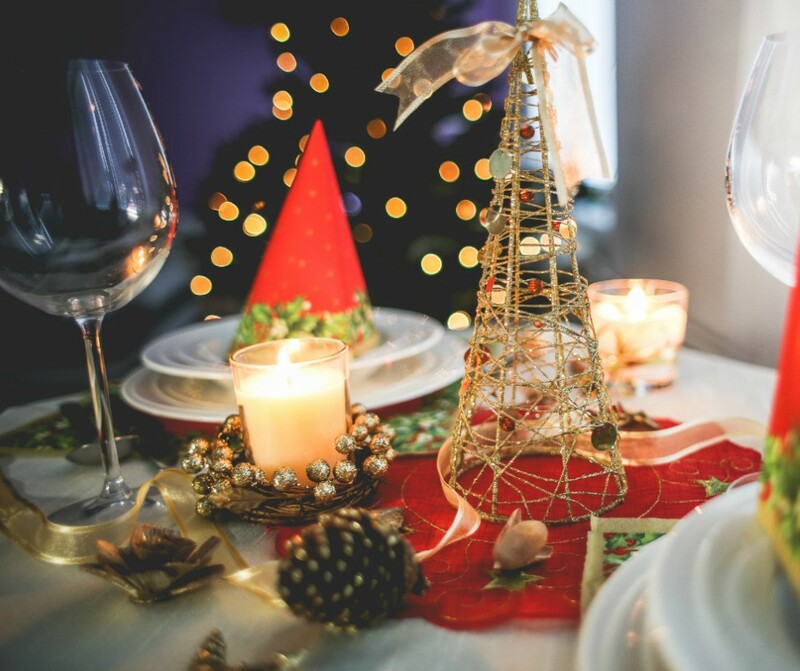 I would've thought that by the time Christmas Day comes around your house will already be decorated but on the off chance it isn't you might want to consider adding a touch of Christmas to your home. 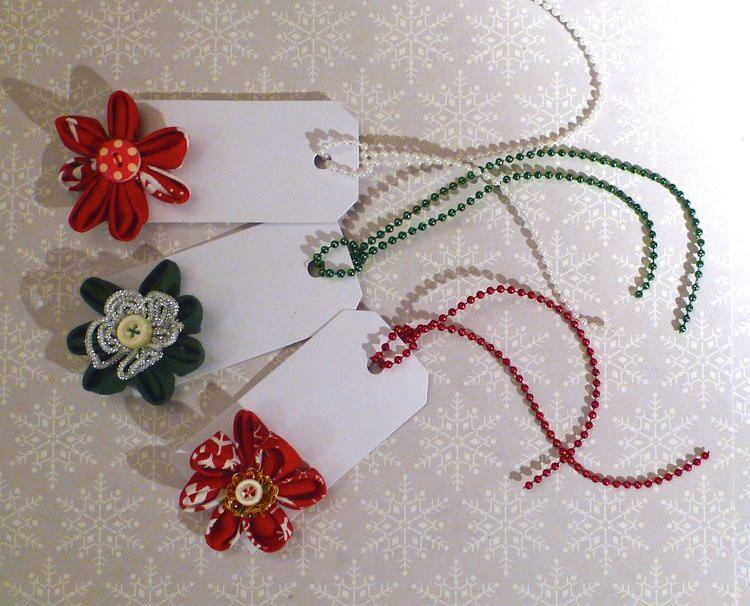 Putting a Christmas Wreath on your front door is a lovely welcome to guests, and some jolly wall hangings will make them smile. I recently went to The Range in Derby and picked up a few extra pieces for our house, I can't wait to get them up! Planning on feeding 18 people all at the same time is challenging but it is possible. I have catered for large parties at Christmas more than a handful of times now and I'm fairly confident I've got it down (famous last words!) but I always stick to a plan. I use Google spreadsheets to plan out my meal and I start with the turkey. Before the big day I work out what time everything needs to go in the oven or on the hob. I write the times in my spreadsheet and organise them so I know when my potatoes go in the oven in relation to when the turkey is cooked. It sounds complicated but having a timetable makes the whole cooking process much easier. I've only done one Christmas lunch where I didn't have a timetable, and that's when my turkey (it was totally the turkey's fault) decided to not cook in time! Timetables are a huge help, I cannot stress enough how easier your life will be if you have a timetable. This is really more of a personal choice, you could serve wine or soft drinks and that is up to you. We serve a sweet wine, it's one we've had many times before and know everyone likes. For those that don't like wine, or don't want to (or can't) drink alcohol we serve soft drinks and that can be anything from Coca-Cola to J2O. 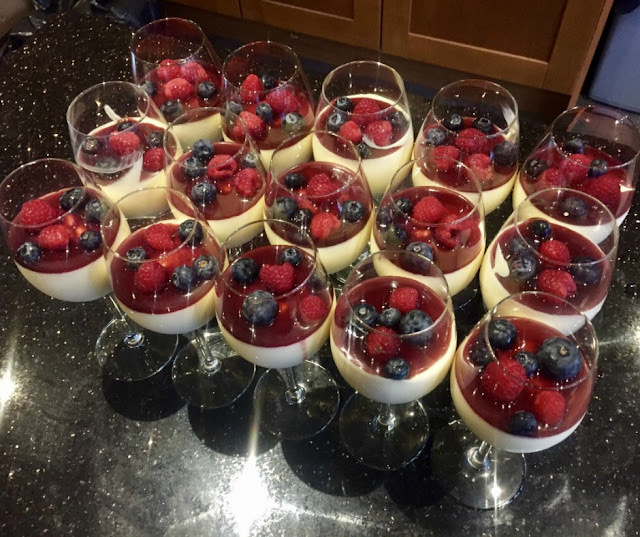 Having spent the majority of the morning in the kitchen I don't want to have to spend more hours in there preparing a fancy dessert. At the same time though I want to prepare a dessert that will wow everyone. Finding a great dessert that is easy to prepare and looks amazing is a difficult task but you can do it. Frozen soufflé with raspberries and blueberries and a berry coulis. Individual desserts that can be prepared ahead of time and stored in the fridge until you're ready are perfect. Last year I made frozen soufflé with raspberry and blueberry coulis (picture above) and it went down a treat. It looked great and tasted good too, everyone loved them. This year I'm going to attempt something a little different; cheesecake. They'll still be individual ones and I haven't quite decided on what type but I have a fair idea of what I want it to look like, so it's a start. Once the meal is over and everyone moves away from the table you'll need to have some entertainment ready. It could be a board game, a Christmas movie, or even a quiz game you could play on the TV like Best Guess. Team up and guess at the answers, it's bound to be an entertaining afternoon. For those who don't want to play Best Guess there's always Top Trumps, or Monopoly! The best tip I can offer is to enjoy it. Yes, it's going to be stressful and you'll be run off your feet but once it's all done and you can sit down you'll realise just how much you enjoyed it. 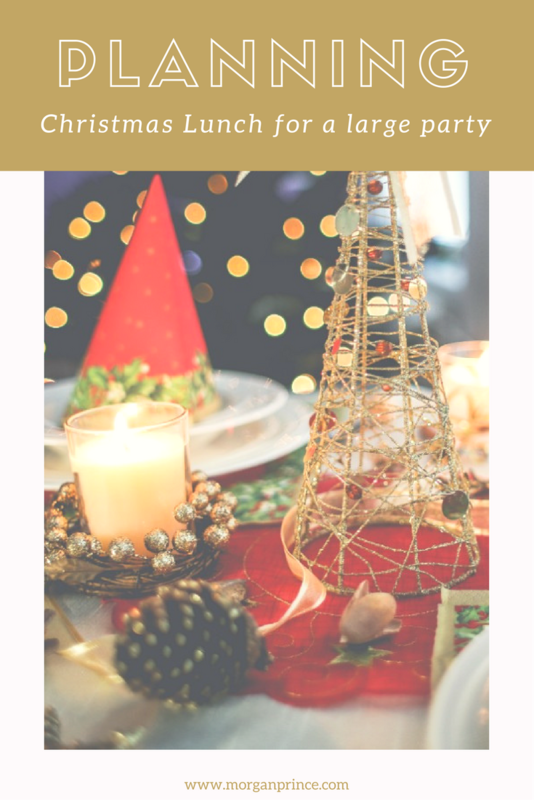 I have teamed up with a group of fellow bloggers who also wanted to share their tips and memories for the Christmas season. 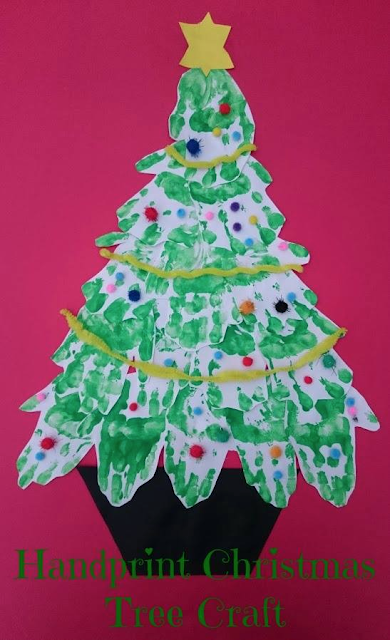 Stephanie at Life at 139a has some some Christmas crafts, find out how (and why) to bleach pine cones, how to make a Christmas wreath and inspiration for some gorgeous gift tags. Catherine at Growing Family is sharing her tips for bringing the outside indoors this Christmas. Find out how to make easy pine cone tree decorations, how to use Spring flowering bulbs to create lovely homemade gifts, and how to choose the perfect real Christmas tree. 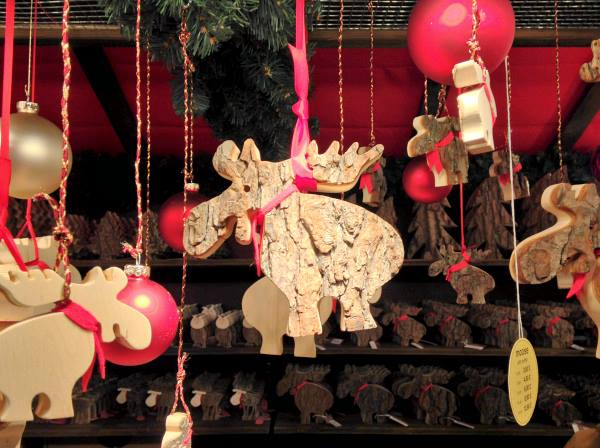 Jingle Bells, Christmas smells - it really does. Nicky at Not Just The 3 of Us is talking about the memories that Christmas decorations evoke. 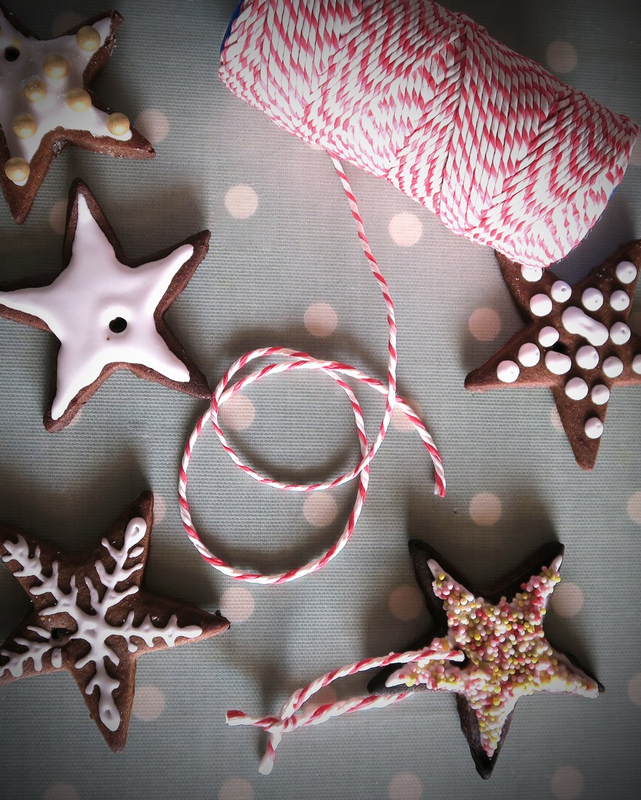 Jane at Maflingo has great ideas for festive treats to make with the kids this Christmas. 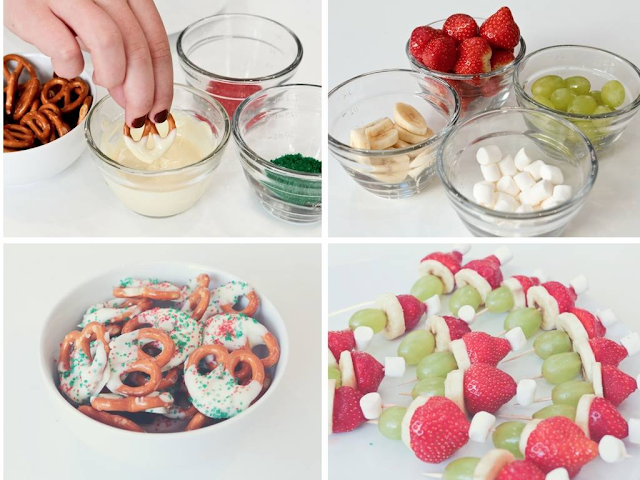 Find out how to make Santa Fruit Skewers and Festive Chocolate Pretzels. 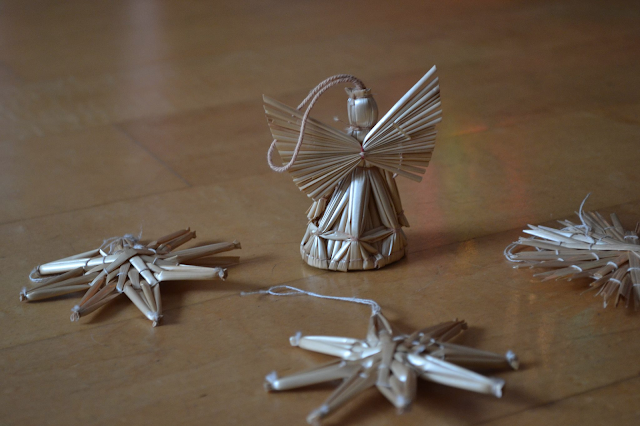 Jocelyn at The Reading Residence is sharing some fun and easy Christmas crafts for children. Find out how to create a Christmas centrepiece, a festive arty keepsake and make kids placemats. 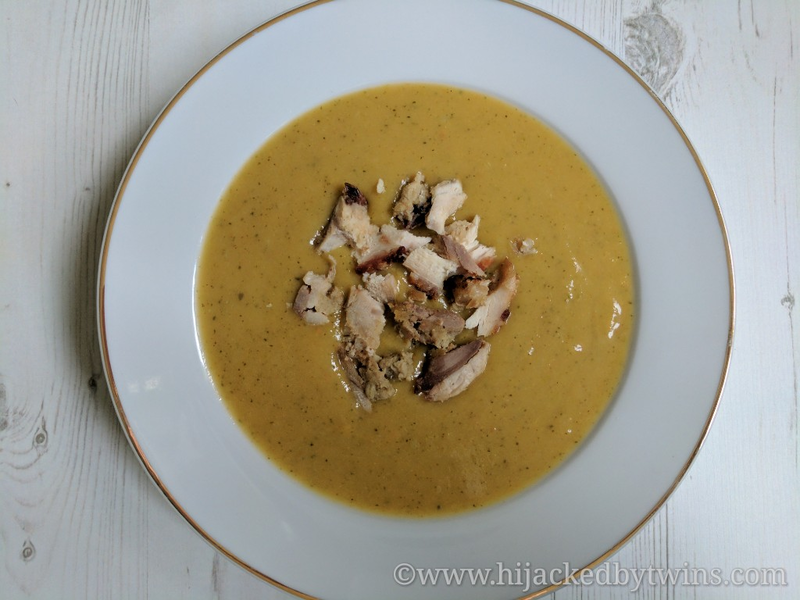 Kirsty from Hijacked By Twins is planning every meal including how to use up those precious leftovers. Find out how to make a delicious toppings for the perfect leftover Christmas dinner soup. This recipe will make you want to cook extra just for the leftovers. 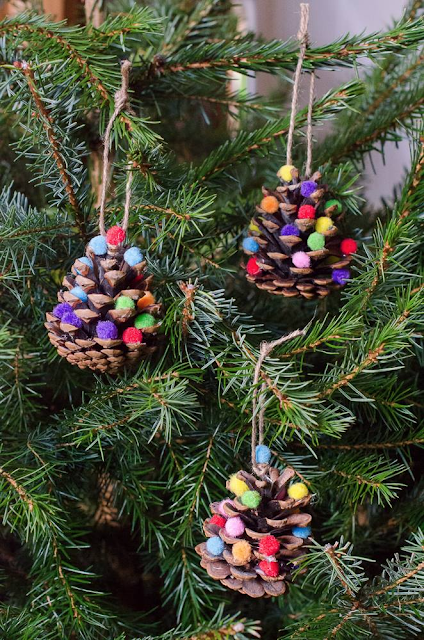 Caro from The Twinkle Diaries shares a simple idea for creating edible Christmas tree decorations. If you're anywhere near the UK capital this Winter, Nell from the Pigeon Pair and Me tells you how to enjoy the festive fun of London - for free. She also gives her top picks of Winter family shows, and explains why Christmas with kids is a magical time of the year. 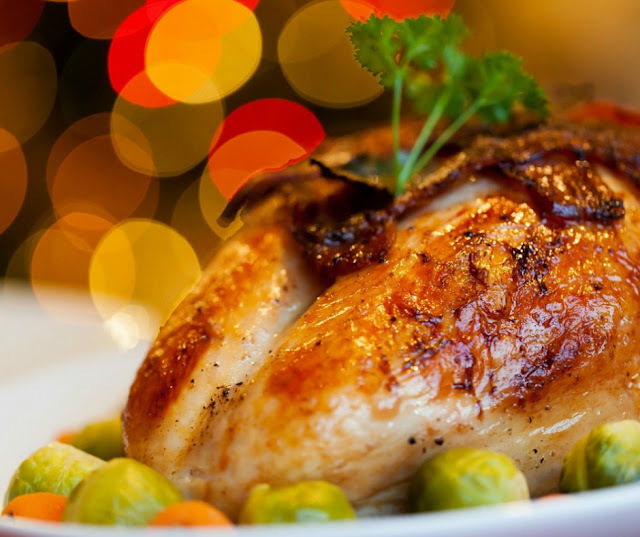 Are you planning Christmas Lunch for a large party? Brilliant tips, sounds like you have it all planned and organised. There'll only be five of us here, so I think we'll be fine! Hope yours goes well and you have a lovely time. What a lovely post. I especially like the tip about having timetables. With so much going on, it would be easy to forget to put the pigs in blankets in the oven, or some other disaster! I may not use a spreadsheet but I have a list of all the cooking times and when things need to go in. I love cooking Christmas dinner! Looooove it! Aw thanks Steph. I do my very best to make it a special day for everyone, it takes lots of practise but it's all worth it.